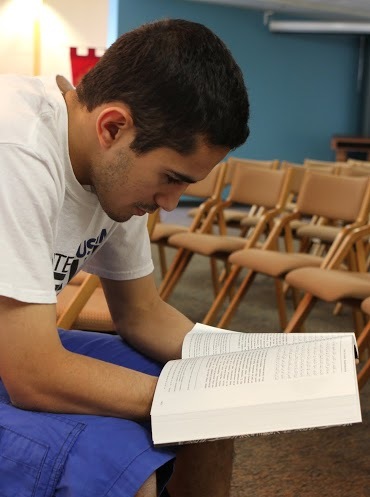 Zak Mitiche studies sociology at the University of Indianapolis. Bright, floral frescoes decorated the walls of the Mexican restaurant and the margarita-laden tables, too. Mariachi music emoted over the speakers. I stepped in with my fiancé in tow, and saw my guest, Zak Mitiche, already sitting in the booth. His loose, black prayer robe looked somewhat out of place. It was Easter weekend, so UIndy, on break, turned into a ghost town again. Zak was staying at his family’s home in Pike Township, but he drove back to be a part of my semester photojournalism project. Something about sharing tortilla chips and fresh cilantro salsa made that moment surreal. It was the picture I wish I took. It was a cultural overload, or as I described it later, when we were back at school: A cultural dichotomy. JF: As a sociology major, why is there so much Islamophobia in the U.S.? ZM: Bigotry and hate is often the result of not knowing the other. A combination of large-scale migration, the tragic events of 9/11, and sensationalized and often simplistic and biased media coverage of politics and events in the Muslim world often portray Muslims as being the other—and, sometimes, as being inherently evil, bad, or primitive. For half of my life, my birthday has been followed the next day by another anniversary, one with slightly greater implications for the entire nation. The start of the war on terror, with a capitol T. This is the longest war in the United States’ history. Being 13 at the time, war seemed exciting. I didn’t understand war, and certainly didn’t understand this war. What I knew about the war was simple, simplified: It was fought faraway, against people who didn’t look like me, who didn’t think like me, didn’t worship like me, and mostly wanted me dead. The war on Terror, in my mind, was a war on Islam. The formula went: Americans kill Muslims, Muslims kill Americans. But we were going to win, because the one true God was on our side. All they had was Allah, I thought, which sounded like the name of an idol. Allah is simply Arabic for the God—the one, only, singular God. For half of my life, I’ve been trying to figure out what I think and believe about Islam, though I’ve known almost nothing about it. I knew it had a violent history and violent teachings. That’s what I was told. I never met a Muslim until college. I decided to find out what typical Muslims are like, the only way that makes sense—getting to know someone, a human being who happens to be Muslim. The most common name in the world is Mohammed or Ahmed. Like most men in Algeria who share that name, Ahmed Zakarya Mitiche goes by his middle name. Zak for short. Maybe in Algeria Zak would’ve been another, average guy. Maybe he would’ve been boring. But he never had a chance to find out. Although whitebread America might see him as someone from a foreign land, although he was born in a foreign land, Zak realized that he feels most at home in the U.S. He had this epiphany in 2011 when he visited Algeria for the first time. Zak laughed as he told the story, experiencing culture shock in his perceived homeland. JF: I’m not one to blame the media as some homogeneous mob of ignorance, but it seems like we only hear about Muslims in the news when some extremists have done something horrible. 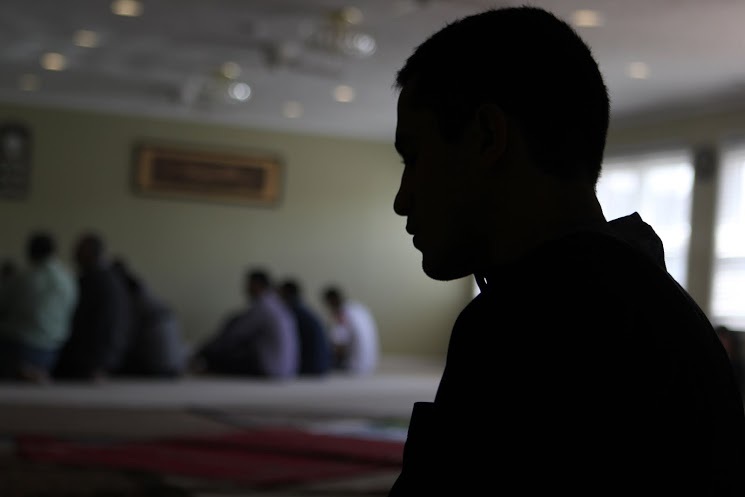 Do you think the media does more harm than good to the average Muslims living in America? ZM: The effect of sensationalized news coverage, rather than nuanced and contextualized coverage has a negative effect on more than just Muslims. The result is a misinformed public, which is dangerous in a democracy, as well as Islamophobia and racism, which often lead to conflict or hate. 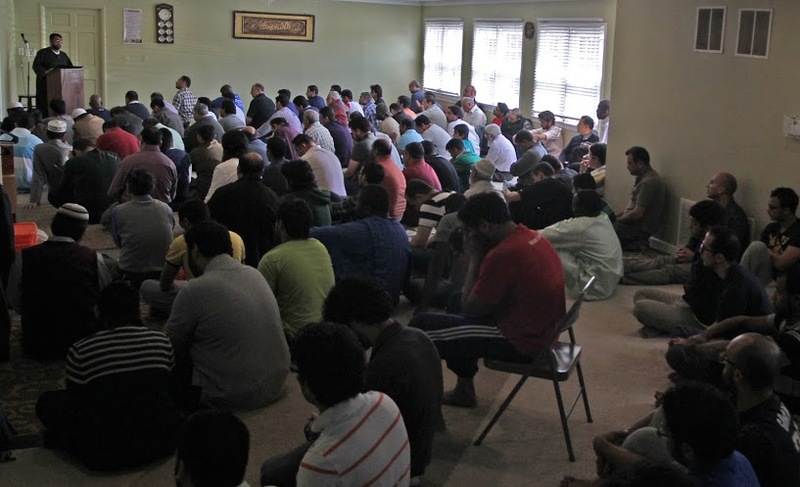 The Al-Taqwa Worship Center on Indy’s Southside fills up right as services start every Friday. Most adherents come from work on break. JF: What’s the solution? How can WASPs get past the fact that people are Muslim and good, when they believe entirely different things? Why can’t people accept the fact that a few crazies don’t represent millions of other normal people? ZM: Usually just getting to know somebody who is Muslim goes a long way in solving misperceptions. Another is to be a critical thinker. When one sees a news story about a Muslim who has committed an act of violence or terror, they may ask themselves: “What is the context of this act?” or “What has driven a human being to go to such lows?” Oftentimes, the answers to these questions can be found in an understanding of the larger world order, and acknowledging the Western/American role as world super power and, sometimes, aggressor. Zak stands with teammates after a weightlifting session. “I’ve played soccer ever since I could walk,” Zak told me. 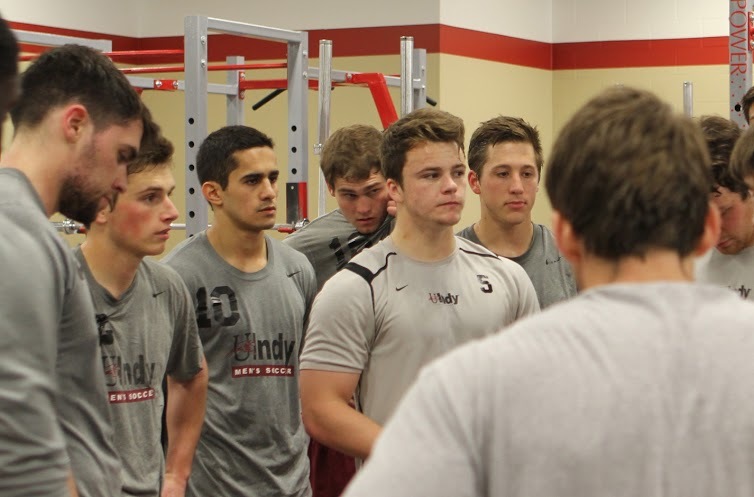 And as a forward on the UIndy soccer team, Zak continues to push his abilities and the abilities of his teammates. When I took photos during a practice, the coach made the team do sprints at the end of practice. Zak finished ahead of most other players, but instead of sitting down and getting a drink, he stood on the sideline, soaked in sweat, shouting encouragement. He does everything everyone else does, and no one really stops to think about what that means as far as his religious commitments. That’s not an issue. To his teammates, he’s not the “muslim guy.” He’s Zak, a part of the team. And if his religion ever does come up, it’s never seen as a detractor. Although he has experienced many great things at UIndy, he regularly lists being a part of the soccer team among the top. JF: Many people say all religions are really the same thing, just coming from different cultural backgrounds. Do you think that Islam has the same God and goals as Christianity, Buddhism, Hinduism or other world religions? Zak Mitiche is not all muslims. In fact, his dedication to his personal faith and openness to the beliefs of others goes beyond that of most people. Zak does a Wudu bath five times every day. Usually when people talk about interfaith, they’re referring to a controversial gathering for honest dialogue between a Lutheran and a Methodist. That’s about as hard hitting as it gets sometimes. Zak is one of the people who makes interfaith dialogue seem worthwhile—aside from some great professors I’ve met. I actually met Zak for the first time at an interfaith forum. It was set up so a person from one faith tradition could give a presentation, then a person from another faith tradition could respond. Zak, then a freshman, was the most vocal when it came to the question and answer section afterwards. After the lecture, I interviewed him for an article in The Reflector. Last year, he wrote a letter to the editor—me, at the time—on Martin Luther King Day. It talked about King’s commitment to education as a tool to gain knowledge and understanding, not just a higher salary. Although we might only hear about fighting between different factions on TV, that doesn’t mean that the entire religion boils down to violence and partisanship, Zak says. In fact, he sees the world of Islam as an inclusive place that accepts people, despite differences in opinion or practices. It’s hard to accept this statement somehow. I’ve been so programmed over the years to think Muslims are religious fanatics, who govern by religion. Is there an answer to the “So what?” I’ve got nothing profound. Nothing new. All I think is that harnessing ideology to justify killing innocent people is wrong. Harnessing ideology to make other human beings seem less then human is wrong. Harnessing ideology to try to make yourself more important, to prove you have more right to be on this planet than someone else—just because they look, talk, or think differently—is wrong. Harnessing ideology to ignore and write off millions of people is harnessing ideology to exorcise part of your humanity. The only way to grow is to know and be known by people who are different. Otherwise, we’ll never be more than fantoms.